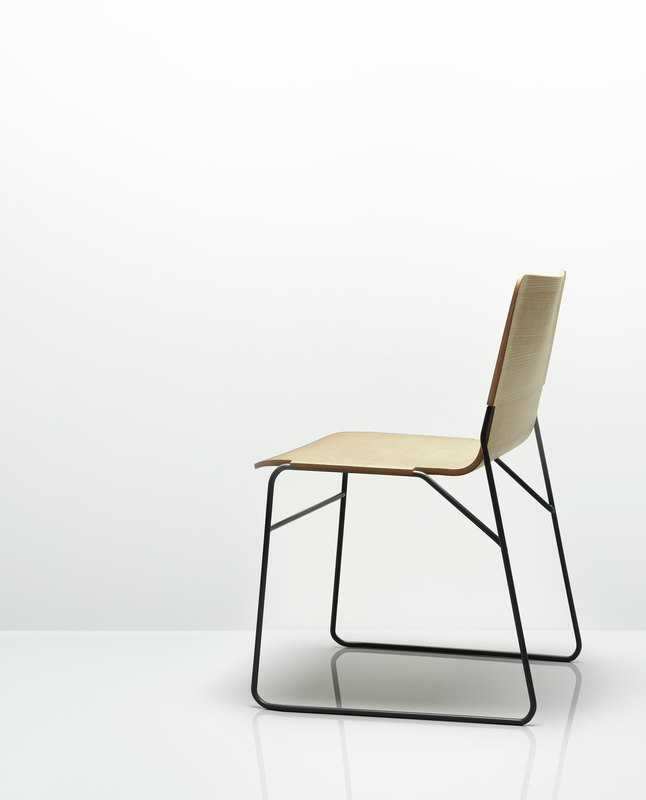 Nuno was borne out of a desire to approach the established design typology of the multipurpose stacking chair from a new perspective. 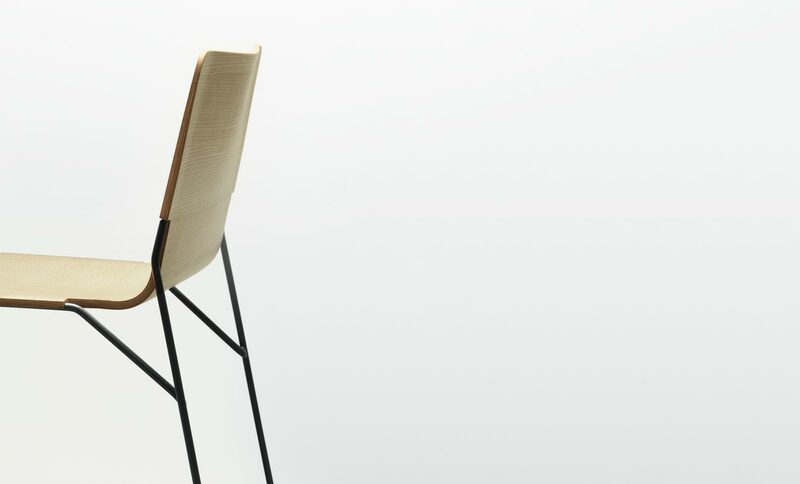 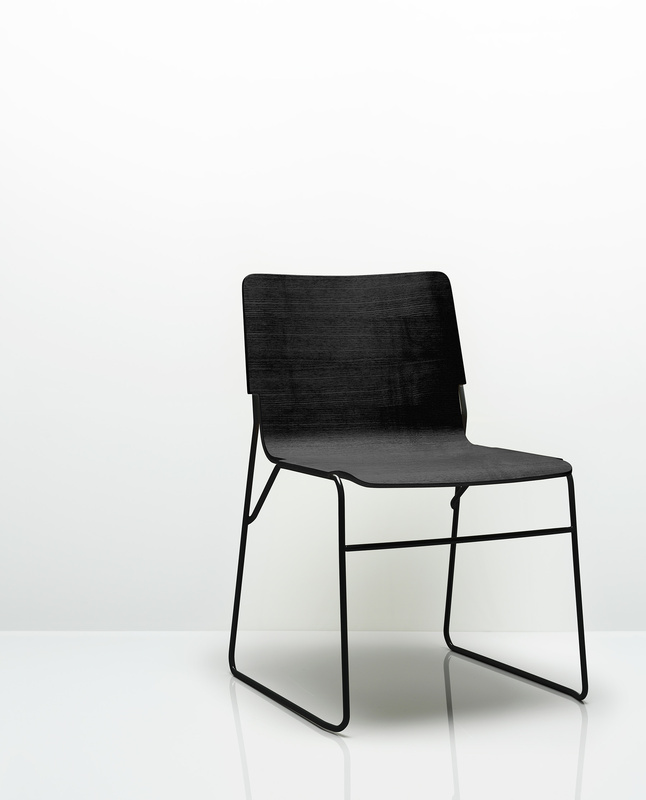 The defining characteristic is the use of the subtly shaped lamination as a structural component whereby the frame and the seat/back are integrated and inter-dependent. 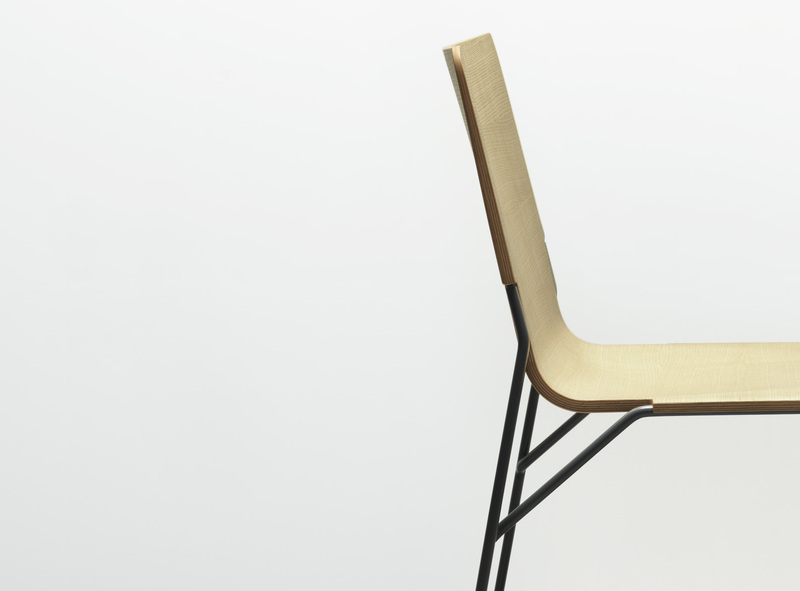 This has the significant advantage of minimising the steel frame structure under the chair and allowing for a closer stack and a visually refined profile.